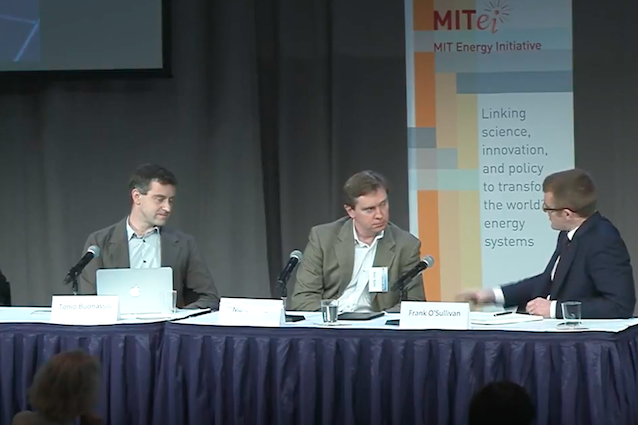 On May 5, 2015, at the National Press Club in Washington, DC, an MIT team released The Future of Solar Energy, the latest of seven multidisciplinary MIT reports that examine the role that various energy sources could play in meeting energy demand in a carbon-constrained future. Solar electricity generation is one of the few low-carbon energy technologies with the potential to grow to very large scale. Recent years have seen rapid growth in installed solar generating capacity; great improvements in tech­nology, price, and performance; and the development of creative business models that have spurred investment in residential solar systems. Nonetheless, further advances are needed to enable a dramatic increase in solar penetration at socially acceptable costs. In the Future of Solar Energy study—which led to the report—a team of more than 30 experts investigated the potential for expanding solar generating capacity to the multi-terawatt scale by midcentury. 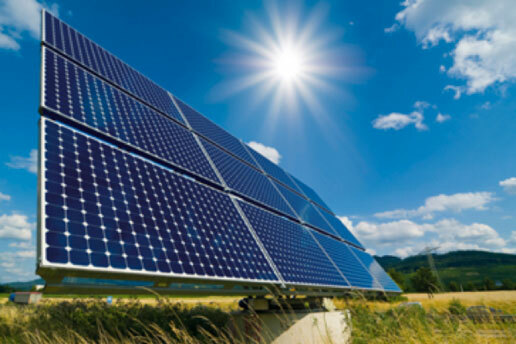 The experts examined the current state of US solar electricity generation, the several technological approaches that have been and could be followed to convert sunlight to electricity, and the market and policy environments the solar industry has faced. Their objective was to assess solar energy’s current and potential competitive position and to identify changes in US government policies that could more efficiently and effectively support the industry’s robust, long-term growth. Their findings are presented in the 350-page The Future of Solar Energy report and five related publications. The following article presents a summary and recommendations for policymakers and is reprinted from the report. Massive expansion of solar generation worldwide by midcentury is likely a necessary component of any serious strategy to mitigate climate change. Fortunately, the solar resource dwarfs current and projected future electricity demand. In recent years, solar costs have fallen substantially, and installed capacity has grown very rapidly. Even so, solar energy today accounts for only about 1% of US and global electricity generation. Particularly if a substantial price is not put on carbon dioxide emissions, expanding solar output to the level appropriate to the climate challenge likely will not be possible at tolerable cost without significant changes in government policies. The main goal of US solar policy should be to build the foundation for a massive scale-up of solar generation over the next few decades. Our study focuses on three challenges for achieving this goal: developing new solar technologies, integrating solar generation at large scale into existing electric systems, and designing efficient policies to support solar technology deployment. Photovoltaic (PV) facilities account for most solar electric generation in the US and globally. The dominant PV technology, used in about 90% of installed PV capacity, is wafer-based crystalline silicon. This technology is mature and is supported by a fast-growing, global industry with the capability and incentive to seek further improvements in cost and performance. In the United States, non-module or balance-of-system (BOS) costs account for some 65% of the price of utility-scale PV installations and about 85% of the price of the average residential rooftop unit. Therefore, federal R&D support should focus on fundamental research into novel technologies that hold promise for reducing both module and BOS costs. The federal PV R&D program should focus on new technologies, not—as has been the trend in recent years—on near-term reductions in the cost of crystalline silicon. Today’s commercial thin-film technologies, which account for about 10% of the PV market, face severe scale-up constraints because they rely on scarce elements. Some emerging thin-film technologies use Earth-abundant materials and promise low weight and flexibility. Research to overcome their current limitations in terms of efficiency, stability, and manufacturability could yield lower BOS costs, as well as lower module costs. Federal PV R&D should focus on efficient, environmentally benign thin-film technologies that use Earth-abundant materials. The other major solar generation technology is concentrated solar power (CSP) or solar thermal generation. Loan guarantees for commercial-scale CSP projects have been an important form of federal support for this technology, even though CSP is less mature than PV. Because of the large risks involved in commercial-scale projects, this approach does not adequately encourage experimentation with new materials and designs. Federal CSP R&D efforts should focus on new materials and system designs and should establish a program to test these in pilot-scale facilities, akin to those common in the chemical industry. CSP facilities can store thermal energy for hours, so they can produce dispatchable power. But CSP is only suitable for regions without frequent clouds or haze, and CSP is currently more costly than PV. PV will therefore continue for some time to be the main source of solar generation in the United States. In competitive wholesale electricity markets, the market value of PV output falls as PV penetration increases. This means PV costs have to keep declining for new PV investments to be economic. PV output also varies over time, and some of that variation is imperfectly predictable. Flexible fossil generators, demand management, CSP, hydro-electric facilities, and pumped storage can help cope with these characteristics of solar output. But they are unlikely to prove sufficient when PV accounts for a large share of total generation. R&D aimed at developing low-cost, scalable energy storage technologies is a crucial part of a strategy to achieve economic PV deployment at large scale. Because distribution network costs are typically recovered through per-kilowatt-hour (kWh) charges on electricity consumed, owners of distributed PV generation shift some network costs, including the added costs to accommodate significant PV penetration, to other network users. These cost shifts subsidize distributed PV but raise issues of fairness and could engender resistance to PV expansion. Pricing systems need to be developed and deployed that allocate distribution network costs to those that cause them and that are widely viewed as fair. Support for current solar technology helps create the foundation for major scale-up by building experience with manufacturing and deployment and by overcoming institutional barriers. But federal subsidies are slated to fall sharply after 2016. Drastic cuts in federal support for solar technology deployment would be unwise. On the other hand, while continuing support is warranted, the current array of federal, state, and local solar subsidies is wasteful. Much of the investment tax credit, the main federal subsidy, is consumed by transaction costs. Moreover, the subsidy per installed watt is higher where solar costs are higher (e.g., in the residential sector), and the subsidy per kWh of generation is higher where the solar resource is less abundant. Policies to support solar deployment should reward generation, not investment; should not provide greater subsidies to residential generators than to utility-scale generators; and should avoid the use of tax credits. State renewable portfolio standard (RPS) programs provide important support for solar generation. However, state-to-state differences and siting restrictions lead to less generation per dollar of subsidy than a uniform national program would produce. State RPS programs should be replaced by a uniform national program. If this is not possible, states should remove restrictions on out-of-state siting of eligible solar generation. This summary appears in The Future of Solar Energy: An Interdisciplinary MIT Study, by the Massachusetts Institute of Technology, 2015. The study was supported by the Alfred P. Sloan Foundation; the Arunas A. and Pamela A. Chesonis Family Foundation; Duke Energy; Edison International; the Alliance for Sustainable Energy, LLC; and Booz Allen Hamilton.